I never felt like I really left the industry but indeed, I met many new faces. There’s always a special fun with meeting people in real life that you have connected with digitally, or perhaps even just heard of through the grapevine. However, I was very pleasantly surprised to meet so many completely new-to-me friends, as this was my first sign that the hostel industry in the US is indeed growing and expanding. It was both exciting and a relief to know there are more hostels coming along in the US than I was aware. We have a huge market to fill, and a very large population to educate on the magic of hosteling. 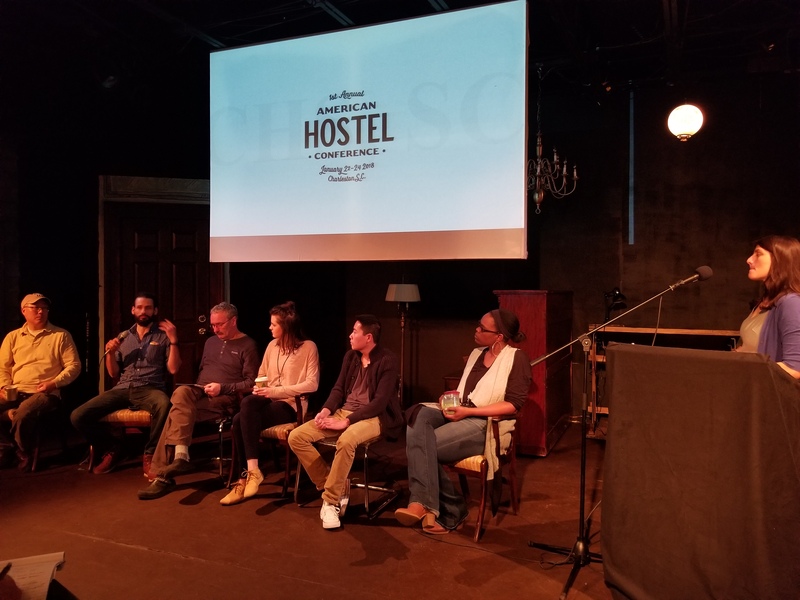 There is so much opportunity in the US outside of our major tourist hotspots and it was fantastic to hear of hostels popping up everywhere from Oregon and Colorado to Georgia and Alabama. 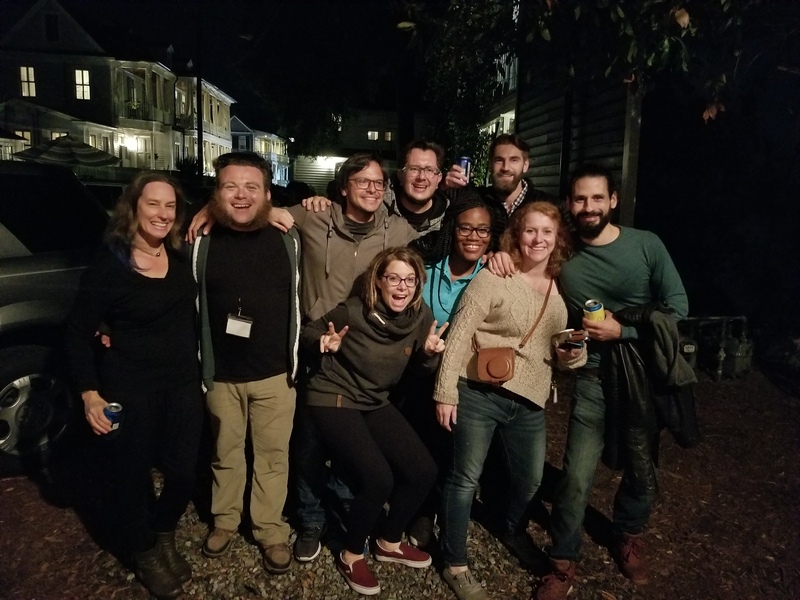 As anyone who has gone to a hostel conference will tell you, one of the biggest benefits is the networking and socializing in between the presentations and learning. It’s where you get the chance to learn a little more about someone’s story- why they are here, what they are creating, maybe how excited/terrified they are. It was from these times and a few of the hostel presentations that I started to see the very wide range of hostel experiences offered. Everything from boutique ‘flashpacker’ style hostels like the upcoming Modal in Greenville, South Carolina & Wanderlust Houston in Texas, to rural hostels with space for animals and plenty of veggie dinners, like Hostel in the Forest in Brunswick, Georgia, and bootstrapped turned highly profitable places like Bunk + Brew in Bend, Oregon. What struck me was not the wide array of offerings- that’s long been the case in hosteling and hopefully always will be- but rather that this variety remained even among brand new hostels. I had started to think (assume) that the trend of hostels worldwide was going away from the old school mom & pop style to concepts filled only with money, modern furniture, and a close eye on investment returns. In this case, I was wrong in two ways. For one, yes there are hostels in the US who are recently opened or in the works that are closer to that of a boutique hotel. Several actually. However, I also met someone working on a brand new place in northern Alabama who is in the middle of building a cob house on a massive piece of property. Very different vibes, all brand new places. I'm sure this is also the case in many places around the world. Where I’ve also been wrong in the past is assuming that a hostel with significant money is somehow less authentic than a mom & pop place. My time at the AHC only furthered my changing sentiment. As I talked with the owners and business partners of many places across the US I found genuine, enthusiastic, and intelligent people who simply want to create their visions, turn a profit, and are ok with seeking out help to do it. Don’t we all want that in some way? Who am I to fault someone for how they do that as long as it has integrity and isn’t intentionally hurting someone? 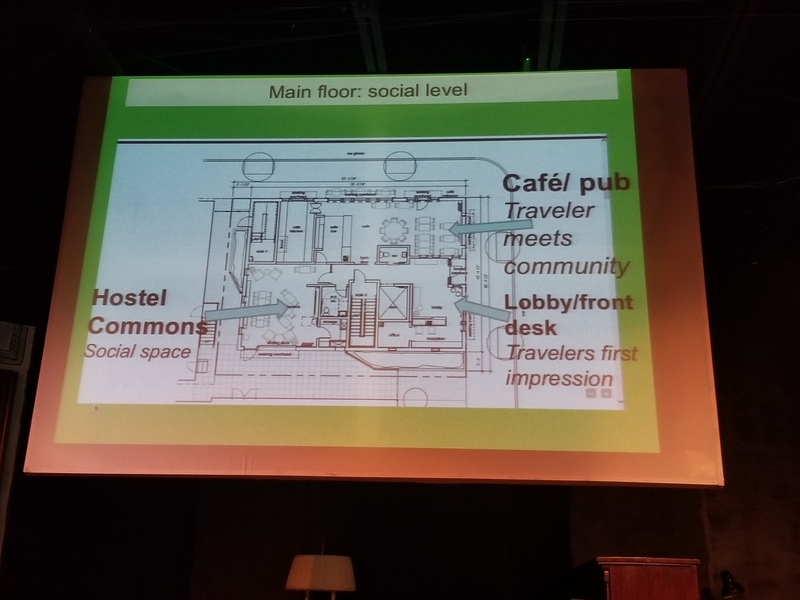 Authenticity comes from the guest experience, not my judgment, and these hostels seem to be doing a great job at bringing people together to connect and explore while being considerate of others. For instance, NW Portland Hostel started super small 20 years ago and just added a 4 million dollar building. Without any context it'd be easy to think ‘sell out’, until you see the owner is old school hostel guru Jim Kennett and watching his presentation brings fun facts like a soundproof common area designed so travelers can always be hanging out together, and a hostel cafe where guests can interact with the neighborhood community, and only sells local coffee from the shop across the street so they wouldn’t kill their business. The reason I’m bringing this up is actually an important one. Namely, that I know this hasn’t been just me having these thoughts over the years about what makes a ‘true’ hostel, wherever it's located, and I think it’s time we address this invisible hierarchy of authenticity. Hosteling has always been about community. Especially on the operator side, where it can feel a little isolated, having a strong community to turn to is integral to success. It’s what Hostel Management was founded out. 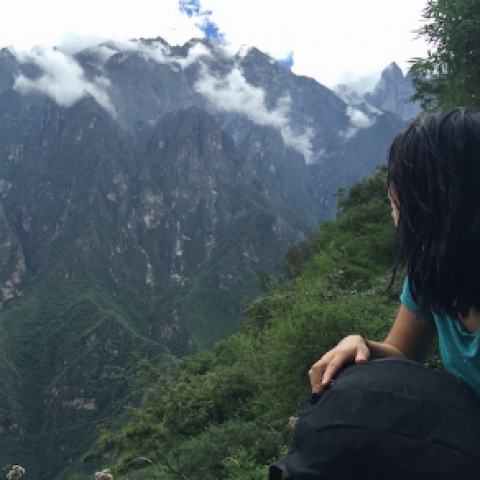 If you are a more traditional hostel, please recognize that there are *millions* of people who travel, and a market for pretty much everything. Since you can’t be everything to everyone, stop worrying about if what this new person is creating is right or not, and perhaps try to help them instead. Work with them to create a bigger pie, instead of fighting for a bigger piece, or at the very least be open to dialogue with them. If you are a more modern hostel with a lot of investment money, please recognize that there are hundreds of hostel owners who have poured their hearts and souls- and frequently blood, sweat, and tears- into this industry from a place of love and community above all else. If a mom & pop hostel isn’t overly welcoming at first, know that it likely comes from a place of fear that this community they’ve helped create will change for the worse. Keep trying to reach out and help show that’s not the case. There will always be disagreements and differing viewpoints among people of any industry. This isn’t about gathering together every weekend to sing kumbaya and assume business will just work itself out. It’s also not about real issues that arise like price wars. But this whole attitude of old school hostels thinking they are inherently more authentic while modern hostels turn their noses up because a place has tattered furniture is not helping any of us. Decide on your vision, work like hell to create it, and respect others for doing the same. Great insights and hope to make it to the next one! Thanks Kimberly, we hope to see you there too!